Microsoft's MSN China has announced the appointment of a new management team to enhance its management structure of technology and operation teams. According to the announcement, Deng Hailin, Han Jianqi, and Liu Shu will lead MSN China's sales, market, and content businesses, respectively. In addition, to further strengthening its management structure of technology and operation teams, MSN China appointed new heads for various teams, including technology, operations, administration, public relations, and business expansion. Members of the newly appointed management team will report to MSN China's general manager Liu Zhenyu. Liu reportedly took the position of general manager of MSN China on April 16, 2010, and he is fully responsible for MSN's market promotion, sales, business expansion, local research and development, finance, and human resources in China. Prior to the new appointments, Chinese local media reported that the Chinese Internet company NetEase.com was contacting MSN China for the joint operation of MSN. 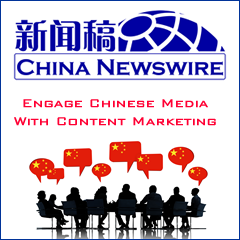 Industry watchers said that the management team adjustment may be related to MSN China's cooperation with NetEase.com. However, MSN China did not say the new management team has anything to do with the cooperation and stated that the adjustment aims to achieve its goal in the new fiscal year while reinforcing MSN's long-term investment strategy in China.